Even though people cannot stop the eruption of the volcano, modern technologies allow predicting the probability of this natural phenomenon. If you recognize the «signals» of the volcano early, you can win some time to prepare and evacuate. None of the methods for predicting eruptions can be considered 100% accurate. The best results come from a combination of different approaches. As the sources of the forecasts, scholars use the information about the earthquakes, the level of the content of some gases in the air, the temperature of the soil and the deformation of the surface of the volcano. French scientists have proposed a methodology that uses satellite observation data to predict the volcanic eruptions. 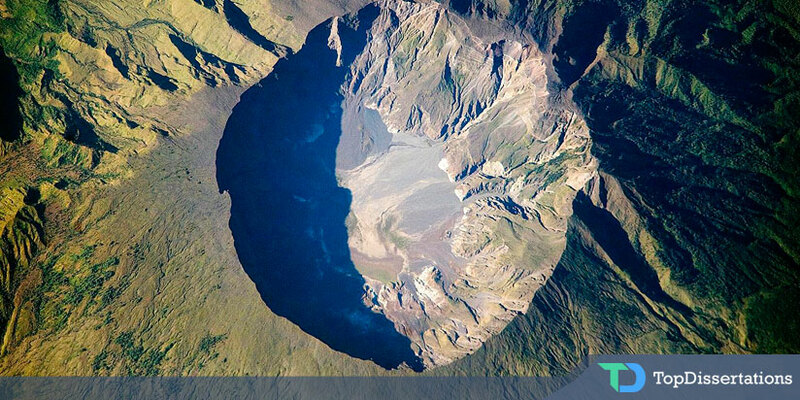 According to the satellite radar maps, volcanoes usually undergo deformation before the eruption. Measuring the deformation from space will help to predict when volcanoes will erupt, especially in remote areas that cannot be easily accessed by scientists on Earth. The satellite navigation systems are already used to monitor the deformation of the Earth's surface. This information helps to correct the maps and monitor the slow movement of the lithospheric plates. The deformation of the surface is also associated with volcanic eruptions: particular types of deformation provide information on the motion of magma and the increase in pressure which precedes the eruption. The authors of the new technique analyzed the facts of the ground-based sensors and the satellite observations of the deformations of the Earth's surface by means of data assimilation. This is a method that allows us to supplement the existing dynamic model of the certain process with the results of the real observations. The model of two magnetic cameras that are located under the volcano was supplemented by the data of the GPS in this study. «The amount of data from satellites and geodetic measurements has grown very much lately. The problem is how to effectively use this information and how to include it into the model to understand what is happening under the volcanoes and what causes the eruptions. Then we can accurately predict volcanic eruptions more quickly, » – comments the lead author of the work, a researcher from the University of Savoy Mont Blanc Mary Grace Bato. Meteorologists and climatologists actively use data assimilation, but it is being used only now in the volcano studies. French scientists were first to compile a work in this field. They plan to test this method with the information about the activity of the Grímsvötn volcano in Iceland and Alaska's Mount Okmok. The researchers hope that predicting the eruptions can be accurate to days and hours like the weather forecast in the future. Hopefully, in the nearest decade, we will be able to prevent thousands of victims of volcano eruptions with the help of modern technologies. Though this issue still remains unsolved, hundreds of scientists put the efforts to find the best solution and hopefully will develop this idea of satellite prediction.